With some tuna in the fridge the other day, I decided to make for lunch a TLT – Tuna, Lettuce, Tomato. It was really really fresh, full of flavour and I only have to have the pan on the stove for about 3 minutes to heat and about 2 seconds to cook. Heat a heavy pan till quite hot and add a very little olive oil. Season the tuna slices on both sides. Put each slice in the pan and immediately turn them over for another second and remove. If necessary do this is small batches so you don’t overcook the tuna. Spread the bottom piece of bread of each sandwich with a generous amount of aioli. 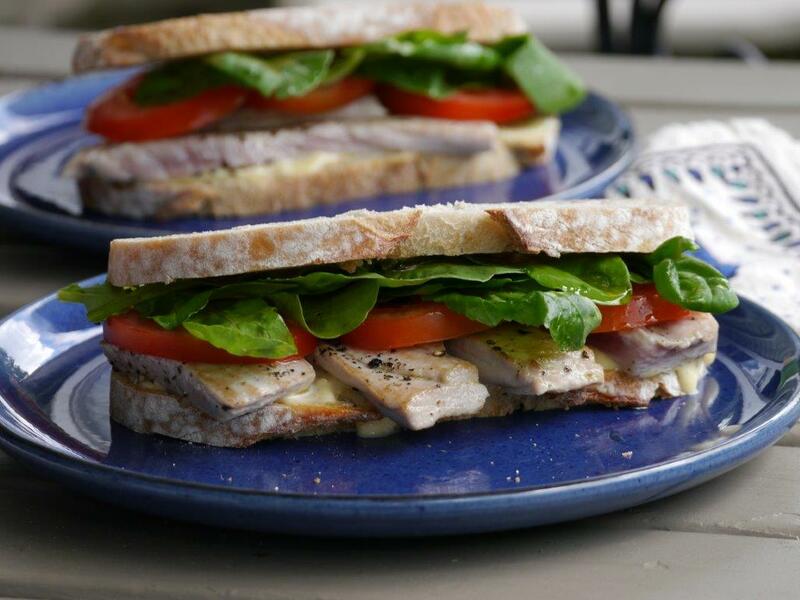 Top with slices of tuna, then tomato, lettuce or rocket and finally the top slice of bread.